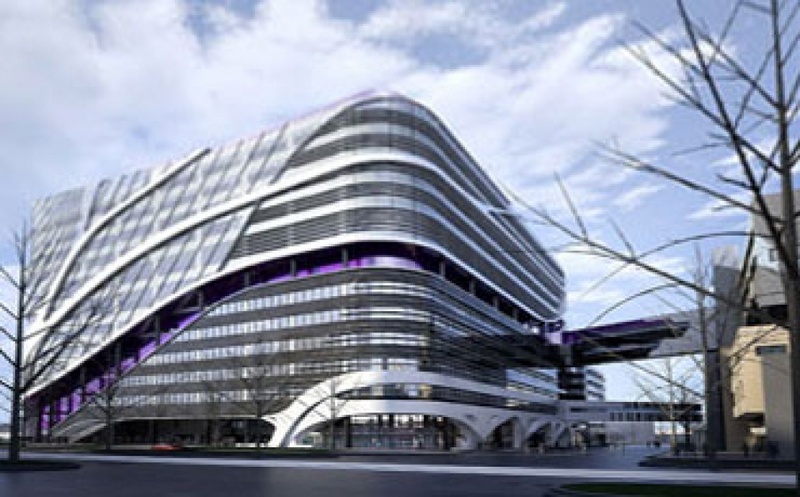 commented on "The 13-storey Victorian Comprehensive Cancer Centre (VCCC) hosts up to 1,200 cancer researchers with over 3,000 employees and measuring ..."
The 13-storey Victorian Comprehensive Cancer Centre (VCCC) hosts up to 1,200 cancer researchers with over 3,000 employees and measuring over 25,000 square metres of dedicated research space. After its inauguration in 2016, VCCC realized its atrium is prone to gusty winds and the so-called chimney effect, resulting in a huge draught whenever the sliding doors opened. Rosenberg Australia Pty Ltd was chosen to search for an effective system to minimise draught, and the decision ...was made to use the Airtecnics TWIN DAM ECG 3000 system, which consists of two vertically installed air curtains (3m long), each equipped with 3 heating stages of 10/20/30kW and driven by highly efficient EC fans. Our Airtechnics TWIN DAM ECG 3000 air curtains stand tall, guarding the entrance of VCCC building. As requested, the units were matched to the colour of the building mullions so that they blend in. Both units are controlled via 1 CLEVER controller and 2 PCB boards, giving the operator full flexibility to operate the units individually. The units were mounted laterally opposite to each other so that the air flow outlet of unit 1 faces the air flow inlet of unit 2 and vice versa which creates an air-flow barrier to the ingress of air current through the sliding doors of the building. The units were able to minimize the draught affect and reduce air speed at the atrium. The consultants and contractors are happy with our customized solution and everyone entering and working in the building benefits from a better climate in the entrance area.